Washington: United States has delivered a strong blow to Pakistan, who is trying to increase its military cooperation with Russia and China. The US congress has passed a bill, restricting the military aid to Pakistan worth $150 million. At the same time, the decision to stop training Pakistani soldiers and officers in the US military training institutes has also been taken. Military cooperation between Russia and Pakistan is developing and Russia has expressed its willingness to train the Pakistan military. On publication of this report, the United States has delivered this blow to Pakistan. There are major changes to the US policies regarding Pakistan, ever since President Trump took over the Presidentship. Last year, in the month of August, US President Trump had reprimanded Pakistan openly with the announcement that Pakistan is a country that supports terrorism. Subsequently, a decision to stop financial aid worth $255 million to Pakistan was taken. 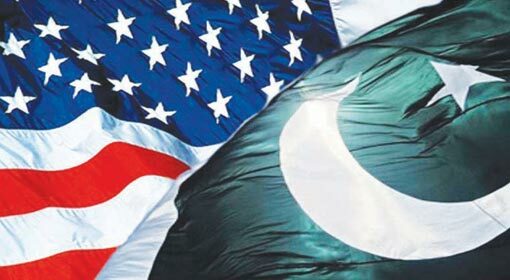 The United States took this action, saying that Pakistan is not performing satisfactorily in the war against terror. In the month of January, Trump had claimed to have given an aid of $33 billion to Pakistan and had warned that Pakistan is sheltering terrorists, which will not be tolerated henceforth. Within a few days of this announcement by Trump, an announcement that military aid worth 1.15 billion to Pakistan had been stopped was made. A bill to stop the financial aid to Pakistan had also been moved in the US House of representatives. Against this background, the new decision taken by the Trump administration is a shock to Pakistan. Pakistan had taken steps to increase military cooperation with Russia and China, because of the insulting treatment meted out by the President and the administration of the United States. An important agreement was signed between Russia and Pakistan, regarding defence cooperation during a meeting held in Pakistan, a few days ago. An agreement to purchase arms from China was also said to have been signed at the same time. Against this background, the United States decision regarding Pakistan is not surprising. The analysts have already warned that the United States will be taking harsh decisions regarding Pakistan and the soon to be formed Imran Khan government needs to take a serious note of this fact. Replying to this, a Pakistan official stated that Pakistan does not need advice and loans from United States anymore. The hardliner analysts have expressed an opinion that Pakistan can counter United States, with the help from Russia and China. Pakistan has started moving in that direction, who is also trying to come out of the United States’ influence, can definitely expect such major shocks in the times to come.